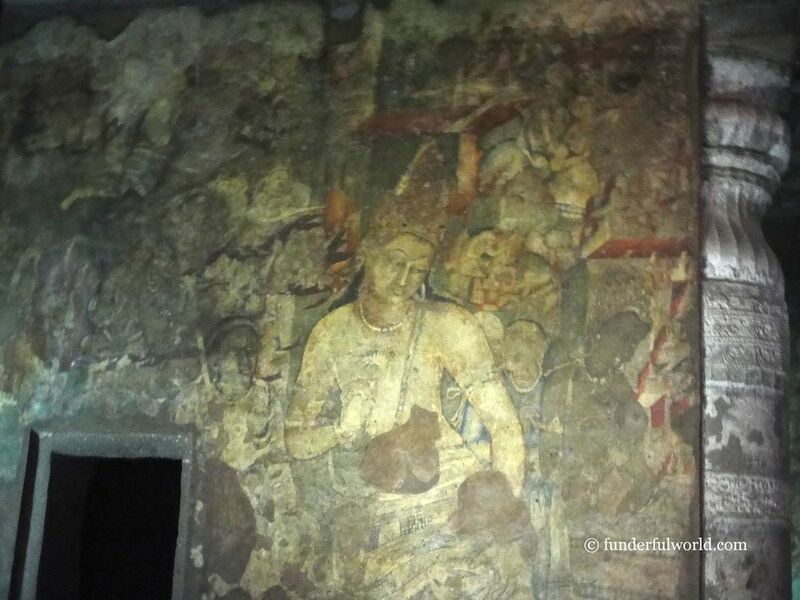 From the spectacular murals of Vajrapani and Padmapani in Cave 1 to the rock stupa and beautiful art in Cave 10, the treasures didn’t cease to amaze us. 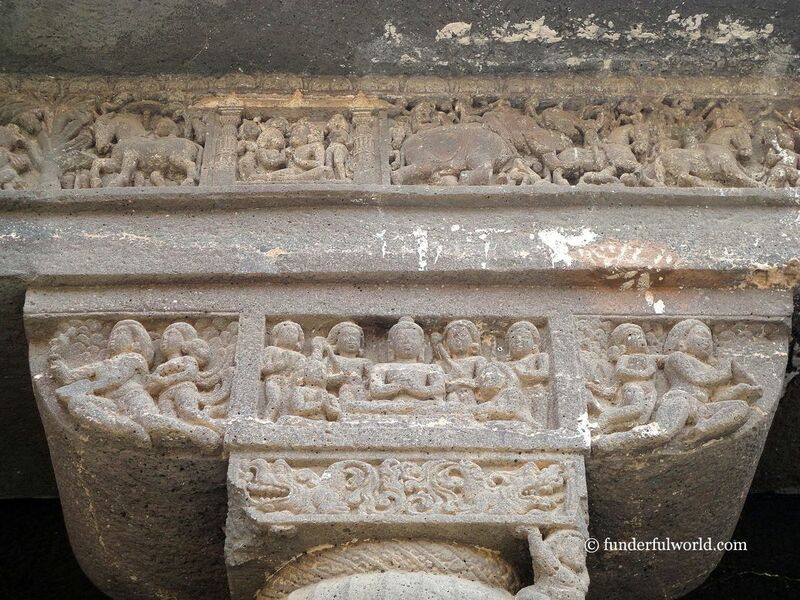 The Ajanta Caves. Maharashtra, India. We were entranced by the variety of paintings and stories depicted here. 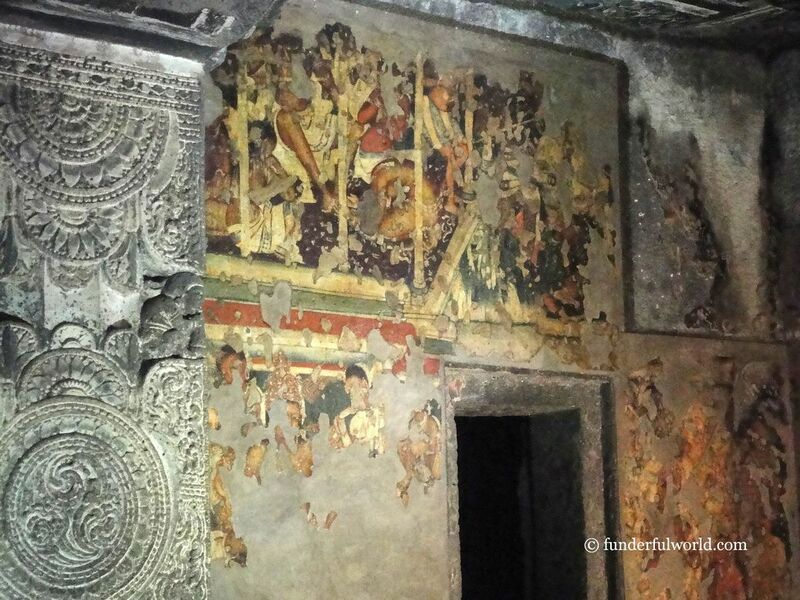 The thrill on sighting the mural of Padmapani holding a water lily, the delight on recognizing a Jataka tale depicted on the wall, the mixed feelings on spotting John Smith’s name carved inside Cave 10… it was a day to remember! 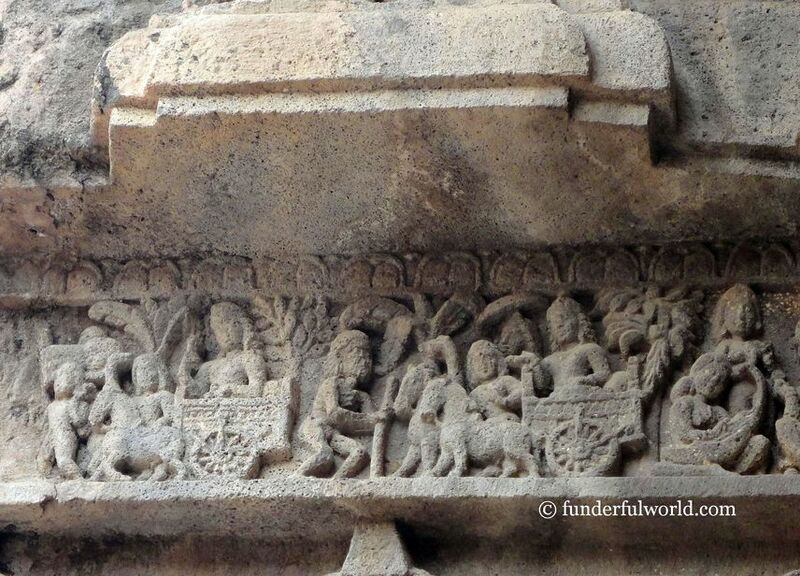 Here are some photographs from our second day at the remarkable Ajanta Caves, a UNESCO World Heritage Site. Details about each cave are available at AjantaCaves.com and Wikipedia. Padmapani, holding a water lily. 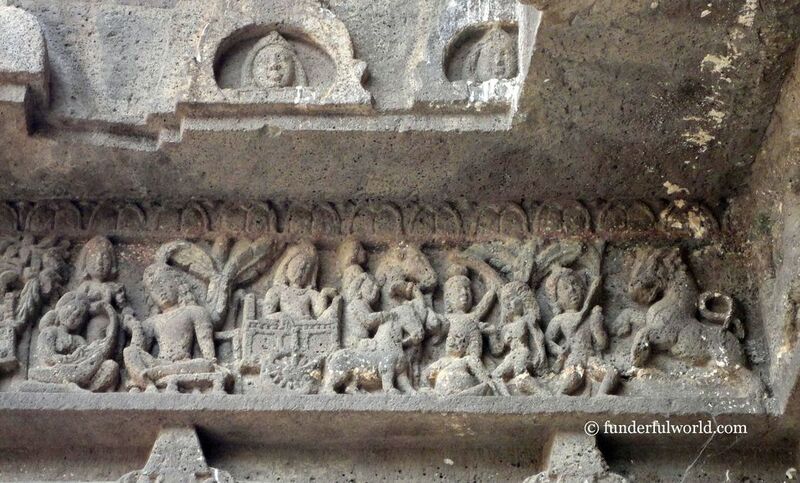 Cave 1, Ajanta Caves, India. 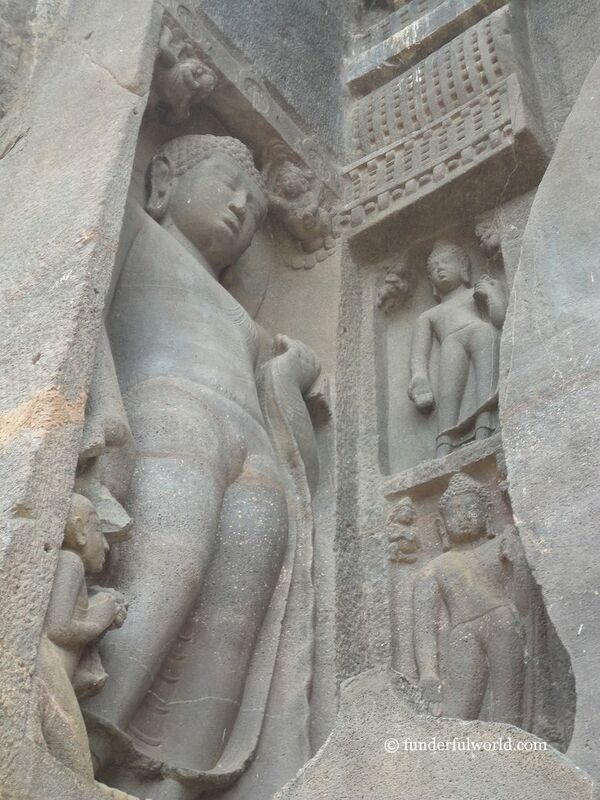 The important sights witnessed by Prince Siddhartha. Ajanta Caves, Maharashtra, India. Every wall tells a tale. Ajanta Caves, Maharashtra, India. Exquisite work in stone. Ajanta Caves, Maharashtra, India. Towering above all. Ajanta Caves, Maharashtra, India. Arches. Ajanta Caves, Maharashtra, India. A journey back in time. 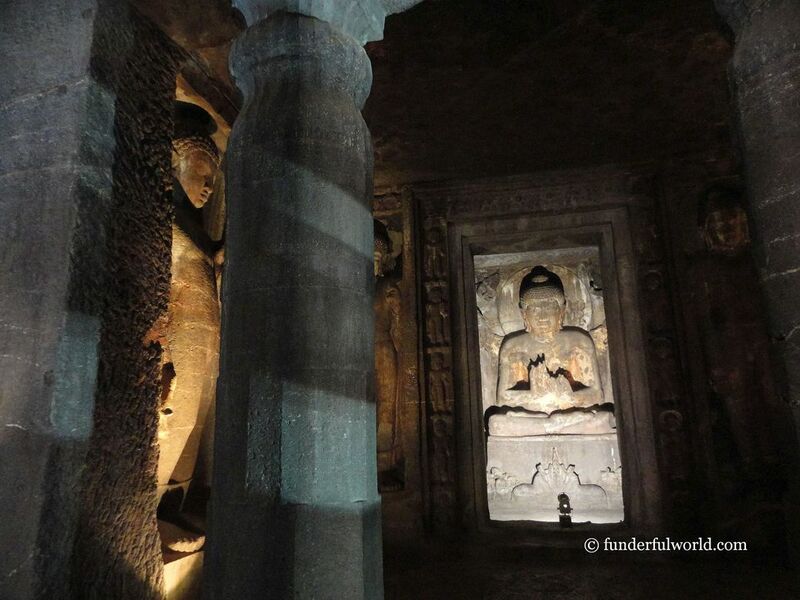 Ajanta Caves, Maharashtra, India. A sprawling museum. 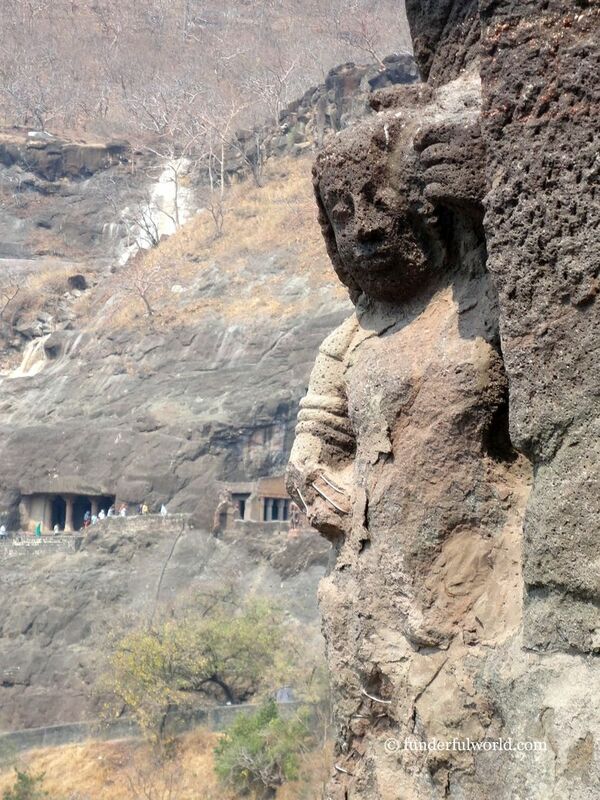 Ajanta Caves, Maharashtra, India. A security guard at one of the caves looked at me quizzically and asked why I had returned to the site. He remembered me from the previous day – perhaps I was spending too much time here?! Oh well, maybe I have a striking face ;). While some murals have faded away, others are faint, and a few are clearly visible. Walls, pillars, and even ceilings are covered with stunning art. So remember to look in all directions – the rewards are infinite. Don’t hesitate to step back, turn around, or retrace a path. There’s always another discovery to be made. Different views. 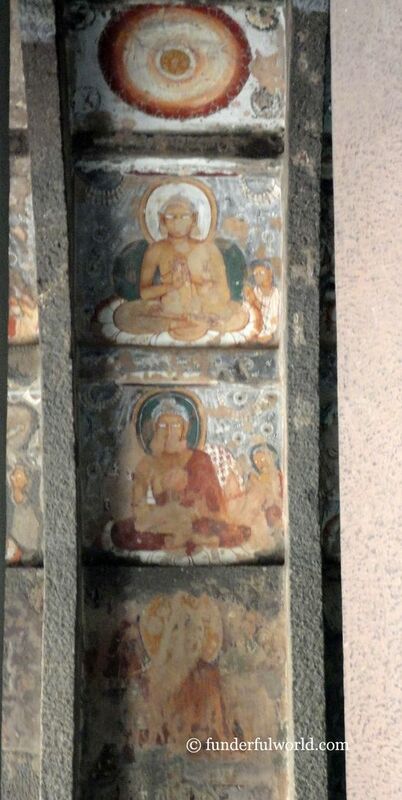 Ajanta Caves, Maharashtra, India. After a few hours, we reluctantly stepped onto the small bridge and took the short route toward the exit. We paused often to turn back and glance at the magnificent caves. Would we return? Maybe. If not, we could travel back in time, trace the imprints in our mind. 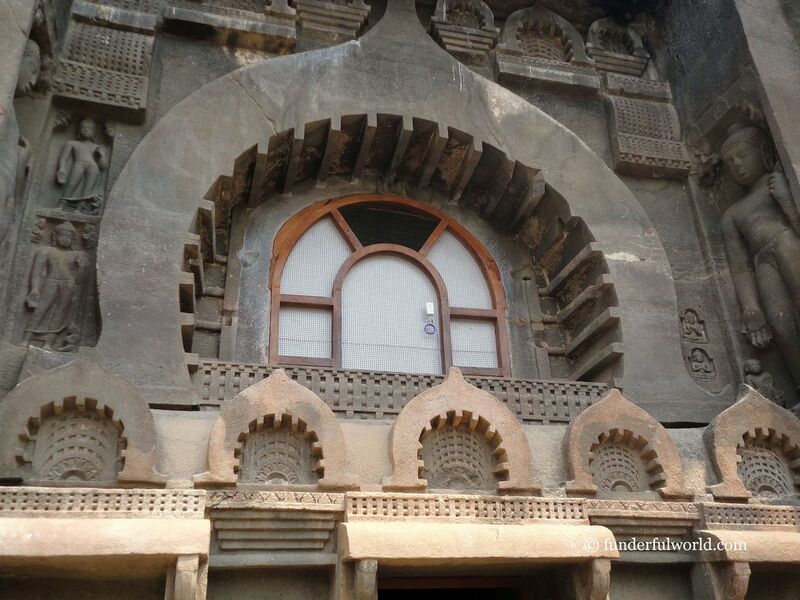 The murals, the sculptures, the grandeur, and the beauty had been etched deeply into my memory. Looking back. 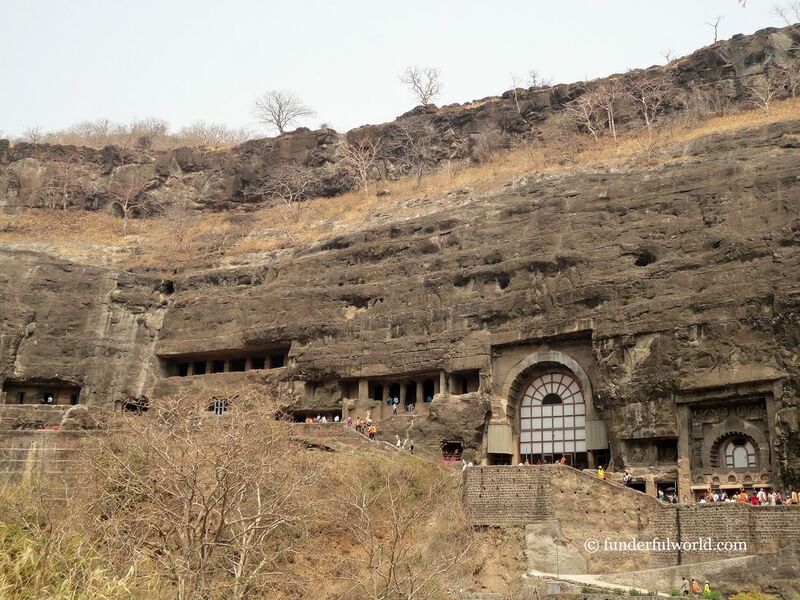 Ajanta Caves, Maharashtra, India.